Pastor Strout gave Jerry a Bible study on the importance of receiving the Holy Ghost. We celebrate with Jerry today! He has attended Heavenview for less than three weeks and recently made the decision toward following Christ. He was baptized today. Dustin invited him to Heavenview. Pastor Strout, per Jerry, has made a lasting impression on his life in a positive way toward Christ. When we asked Jerry what led him to being baptized, he said, "Prayer and Jesus." We are so thankful that Jerry is a part of Heavenview. 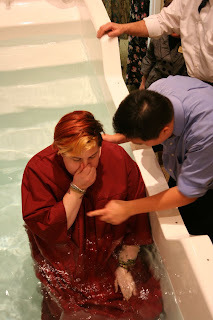 We celebrate Tabitha's new life in Christ! 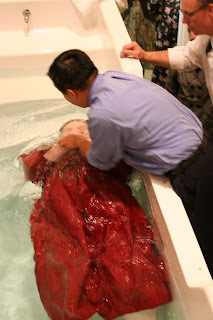 Tabitha decided to give her life to Christ yesterday and was baptized during our Sunday service. 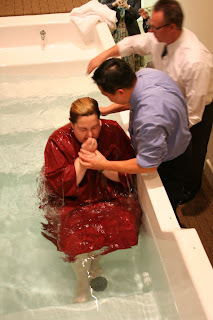 When Tabitha was asked what led her to being baptized, she said, "I am ready for a change." Special thanks to Carla B. for helping Tabitha on her faith walk and for being a good friend. We celebrate Dustin's NEW LIFE in Christ! When Dustin was asked to describe what let him to being baptized, he answered, "He wanted to be baptized in the Name of Jesus." Special thanks to Tim Bibb for making a postive impact on Dustin's life toward Christ. 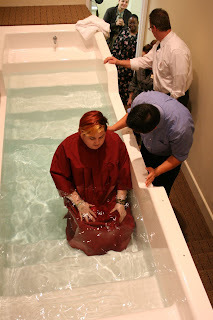 We celebrate Nikki's NEW LIFE in Christ today! When Nikki was asked, "What led you to today's decision to be baptized?" 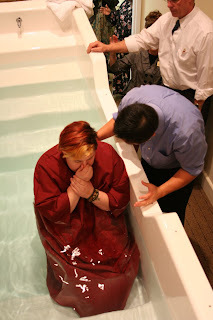 She answered, "I wanted to be baptized the right way." To learn more about the importance of being baptized, email Christie.